Governor Martin has a Ph.D from Princeton and taught chemistry for years at Davidson College. Congressman McMillan was the CEO of Harris-Teeter Supermarkets and CFO at the Ruddick Corporation prior to running for Congress. We need more like them to enter public service. I had the chance to bring to light a very little known fact at the event that is pertinent to today’s budget debate in Washington. It points out how important it is to have talented people with expertise in things other than politics run for elective office and bring their respective talents from the private sector into the public arena. 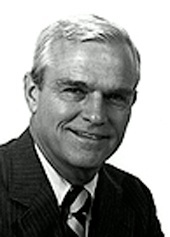 In 1991, Congressman McMillan was appointed to serve on the House Budget Committee as the 2nd-ranking Republican by then-Republican Leader, Bob Michel of Illinois. I was his chief of staff. Congressman McMillan had just completed an arduous tour of duty during the contentious 1990 Budget Act debate that went back and forth between President George H.W. Bush 41 and the Democratic-controlled Congress, the Senate with an overwhelming 55-45 majority and the House with a massive 251-183 majority. Talk about gridlock. That was a ‘Bridge Out Ahead’ Road to Nowhere. No Country For Old Men and Women To Compromise and Work Together. The budget deficits back then were a stifling 21%, on the order of $300 billion out of a $1.4 trillion annual budget. Something had to be done to arrest the flood of red ink. Today’s budget deficits run close to 42% of annual outlays. So we are in real trouble today. President Bush made the now infamous ‘Read My Lips; No New Taxes!’ pledge at the 1988 Republic Convention but was confronted with the fact that the budget deficit in 1990 was exorbitant and seemingly out of control. Bush 41 and his OMB budget chief Richard Darman negotiated with the Democrat leaders in Congress to pass a law that reduced spending somewhat and instituted the PAYGO budget mechanism and discretionary spending caps for the next decade. The deal included an increase in tobacco excise taxes, which the North Carolina-based tobacco companies supported because they feared if it did not pass at a lower level, it would only go higher in each successive iteration of the Andrews AF Base budget deal. The so-called yacht tax was instituted and the restrictions on the amount of earnings that would be subject to Medicare payroll taxes would be eliminated. Congressman McMillan was one of 47 Republicans to vote for the bill, mostly because he had read the bill in depth and knew that there was substantial budget discipline embedded in the bill from the PAYGO and spending cap provisions. Was it the right decision? Spending growth amounted to little over 2% per year from 1994-2000 mostly due to PAYGO and the spending caps. Fast forward to 1993. McMillan was on the Budget Committee and had just lost a close election for Ranking Member to then-Congressman John Kasich, now Governor Kasich of the Great State of Ohio. There was some trepidation on the part of Kasich and his staff that McMillan might undermine him as the leader of the Republicans due to his extensive business background prior to being elected to Congress. Congressman McMillan instructed me to go to Rick May, the director of the Republican Budget Committee staff to tell him that he thought we should do something ‘revolutionary’ in the upcoming FY 1994 Budget. Make a complete list of all of the federal budget line-items Republicans would reduce, eliminate or change, publish them and then vote on them to show the American people what Republicans would do if they were ever to be in charge of Congress. Predicting that the GOP would ever gain control of the House of Representatives in 1993 would have qualified anyone for the insane asylum. It had been close to 40 years since the last time a GOP Speaker held the gavel in Congress. So no one thought it would actually 'happen'. We just hoped it would. Some day. The target was to be $500 billion in spending reductions over 5 years, from FY 1994-1998. From roughly over $7.5 trillion in projected federal spending over those same years. At the first staff meeting of the year, Rick asked us what our bosses thought we should do for the year. After all, we were in such a minority that it almost didn’t really matter what we did on the Budget Committee. We were going to lose on everything we put out there from a bill to any amendments. You could have heard a pin drop. I think we had to call in the medics to help Rick regain his breath that had been knocked out of him like some linebacker had leveled him. A day or so later, he came back and said that Kasich was ok with it since McMillan had been a corporate exec managing a billion-dollar corporation, he must know what he is talking about. So we set about getting to work in various task forces to come up with $500 billion in spending restraint in every sector of the federal government. Including Medicare. Including Medicaid. Congressman McMillan proposed close to $177 billion in spending reductions in the two federal medical budgets alone. Close to 35% of the total targeted amount to be saved. No tax hikes. No new taxes. Our bill lost in the Budget Committee. We even lost one of our own Republican Budget Committee members as we got 15 out of 16 votes in committee. The first time we put it on the floor of the House for a vote, we got 135 votes. The next year, we got to 165 votes. Congressman McMillan retired in 1994 just before the Republican landslide when they took over Congress for the first time in 40 years. But for the next 3 years, the corpus of the ‘Cutting Spending First’ budget that originated with the line-item idea of Congressman Alex McMillan survived. It became the core text of the Balanced Budget Act of 1997 that led directly to the last 3 balanced budgets many of us will see in America. Congressman Kasich deserves credit for shepherding it through Congress. Speaker of the House Gingrich and Leader Armey deserve credit for negotiating the deal with Erskine Bowles, the chief of staff for President Clinton. But the unsung hero in all of this is former Congressman Alex McMillan of Charlotte, North Carolina. He made a difference. He brought high-level financial and budget management experience with him to Washington and then to the House Budget Committee. Without him in Congress in 1993, we most likely would not have ever had a balanced budget in our lifetimes. We need more like him serving now in Congress.